The lock below is a Mortice Sashlock. 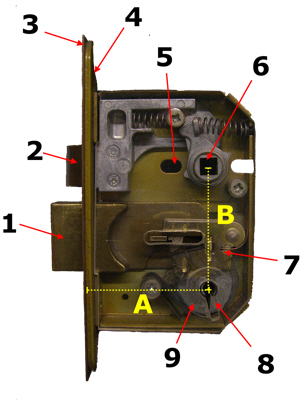 Unlike the Mortice Deadlock, it features a latch which is operated by a lever handle. Deadlocks are similar in design but do not feature the latch or it's mechanism.